Planning a trip to Egypt and worried about safety? Pin it! Tahrir Square Cairo and a few chills down the spine! We came to sit at one of the artificial fountains of Tahrir square after a long day. We have been to the distant parts of Cairo, the outskirts where the great pyramids of Giza stand, the island on the great Nile river where diplomats live, the river promenade all lit up with Eid celebration. It was time to go back to the hotel room and yet, we were not ready to call it a day to Cairo. Back in 2011, one of the most talked about real life political play was staged at Tahrir square! Social Networking sites, which were slowly and gradually becoming an integral part of our teenage life, added quintessential romantic fuel to the revolution, named it the Arab Spring. And here we were, sitting and googling the fine places in the neighborhood that sells the best of Falafel. The pictures of Tahrir square may look like a thriving sea of human heads where as in real life it was a dimly lit place surrounded by regal mansions, a few posh hotels, streets opening up to the narrow, age-old localities and a few statues. Under one such statue, we found an abandoned bag! Alibaba and 40 thieves’ time could have revived a forgotten gene from such bags but our times are troubled. Hollywood movies have tought us, it may burst! We chuckled at each other and joked “See this will blast and we will die, but I thought I would die in a blast in Kolkata Metro” and looked around for a claimant. Noone was closeby! Bakri Eid holidays just got over. Roads were clogged with office going vehicles. Meanwhile, a local was bringing in a man in uniform. He rushed, (by then, we had walked a bit far and was looking back), inspected the bag and spoke in his walkie-talkie, probably calling in people. At that time, a man emerged on his gliding scooter. Unabashed, he picked up the bag, smiled nonchalantly and sped up. Is Egypt a Safe Place to Travel? Is it safe to travel to Egypt? To be honest, it never occurred in my mind until a friend back home asked! And then, while walking on the dingy lanes of Khan e Khalili market in Cairo, an old man said, “Tell people in Hind that Egypt is safe! Everyone is welcome.” Indians are called Hind, irrespective of your religious identity (they thought my bearded boyfriend, Sayantan is Muslim). However, safety in Egypt was an issue with a pregnant pause for me. I knew of the revolution that happened seven long years back. My life changed in seven years. From aspiring to be a bank MD, I am trying to become a travel blogger now! Who lives in the past? Egypt must have changed too! Avoiding Egyptian Areas of Political Turmoil? Very Smart indeed! Make sure to do your research on politics before you finalize a destination! We looked up Egypt in the world map, found Sinai to be included in Asia (the only part of Egypt that is a part of Asia, rest falls in Africa) and in rather close proximity to war-torn Yemen and Syria and chose not to visit this iconic place of Biblical history. That was all the safety precaution we took. Then, the fine evening we were taking a sunset Felucca ride on the Nile river, a rumoured incident of a blast were making rounds. A rumour spreads like a bushfire, damaging goodwill severely. That it caused death for an elderly English couple. That it will make things grim in the tourism industry in the country. That we may be the next target! The realizations were rather unnerving, if I am to be honest with you! However, we did not cut short our trip. The fact that every single local smiled and reassured that Egypt is safe, helped. It also helped that we are India born millennial. So what Anubis (the Egyptian God of death from ancient kingdom) grimaced from the towering sand-dunes of Sahara, we have grown up with countless terror attacks newsflashing on prime time media! The way I look at the safety issues /hesitation/travellers’ dillema in Egypt can be broadly categorised in three parts! Is it safe to travel to Egypt? I am not naming any specific country but I am Indian just so that you get the context! We were four friends, two of them are boys. Try and safeguard yourself from being a political pawn! There are reports of terror attacks in recent history: Is it safe to travel to Egypt right now? The tumultuous amount of pressure from different extremist groups on Egyptian government can only be measured if you look back in recent history. 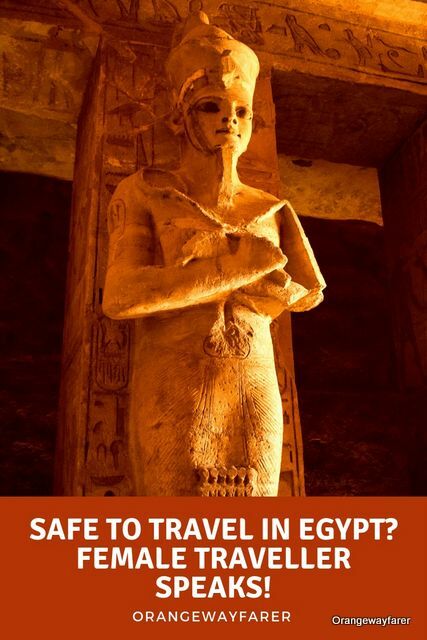 You cannot not understand the Egyptian politics and travel safely! Tourists are not only soft targets but also a rather “milching” ones. Abducting a tourist, especially with a pale skin colour and passport from developed nations shall yield good capital income for the group. If not, a massacre will take place to stun the grieving world. This, sums up the ensuing threat for foreign travellers in Egypt. We stand out easily in the crowd. 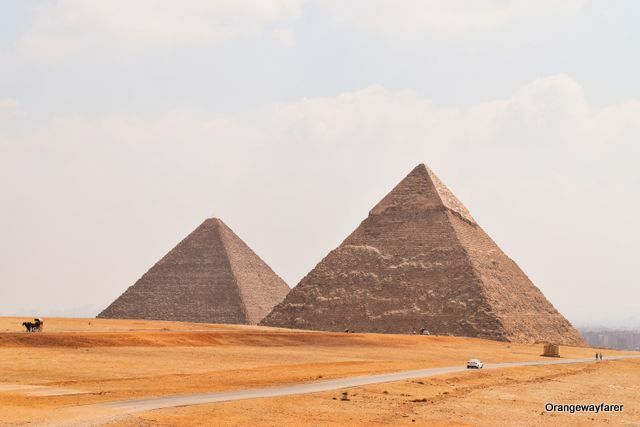 In recent past, many western countries have marked many territories of Egypt as off-limits, including deep desserts, Sinai Peninsula or the Sudan border. The much treaded Nile valley remains a relatively safe place for travellers. The destinations are Cairo, Luxor, Aswan, Alexandria. 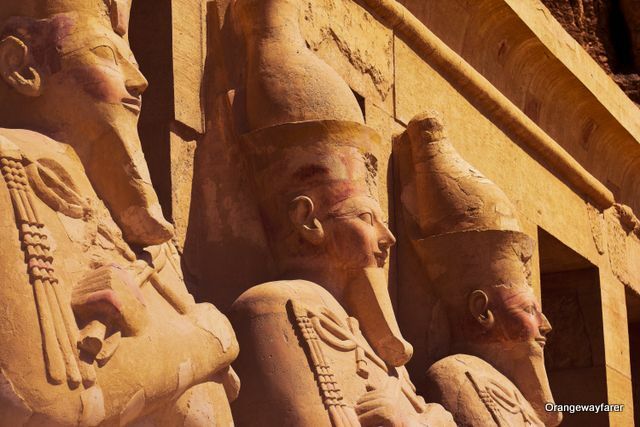 The worst impact of the attacks has been on the travel industry of Egypt. The stakeholders are finding it difficult to make ends meet and feed their respective family. I remember visiting a spice shop in the old market of Aswan. We were taking a post dinner stroll. The shopkeeper chased us, literally. He took us into the shop, gifted a dried lotus pod which I am supposed to make tea with(I have saved it as a souvenir). He showed us dates from around the oasis of Sahara and expected we would buy a few KGs of each. A lot of “debates” later, we convinced him that we were not carrying that huge amount of liquid cash and left with 250gm pouch of Nubian Dates. The dates were plump but clearly, not the local tourism eco-system. The deep imprints of tough times were evident on the Arab faces. 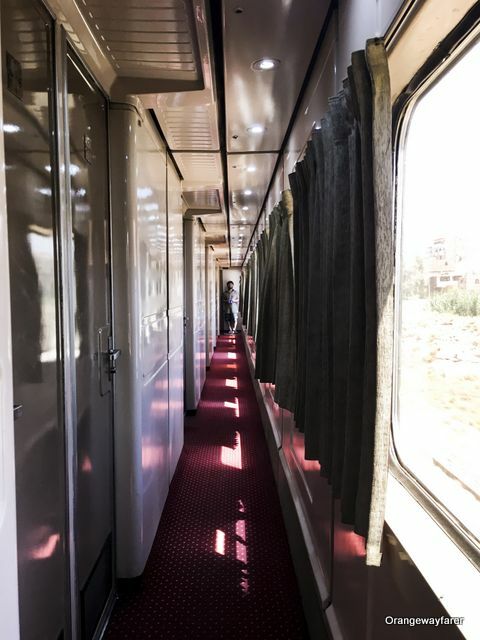 The agents will buzz in as soon as you try to book a long haul train journey, or step down the train, or take a stroll on the market, or even look at an elegant white felucca gliding seamlessly on the Nile. “good price, no worry, good money, come come!” I remember the calls faintly. I am an Indian. I grew up behaving “rude” with “salesman”! As much as I would hate to admit it, I would not even answer back the guy who were trying to sell me the China-made Amun Ra statues for 7 dollars each! 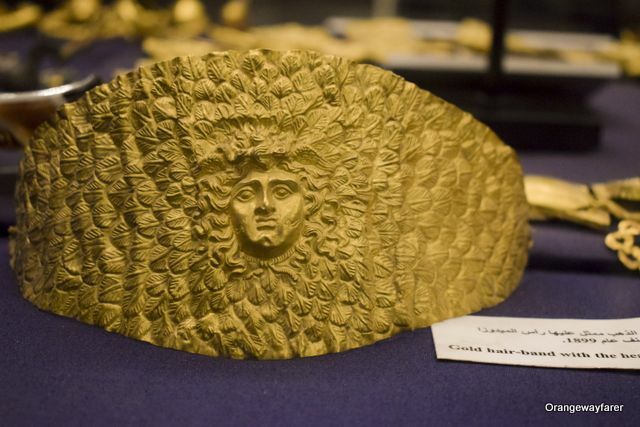 If an “asbestos-made “lookalike statue is being sold to you at a surprisingly low price, be rest assured it is not a product of Egypt (but China)! After answering a million times, “We are from India”, I tried experimenting with answers like Pakistan and Bangladesh once in a while. However, people find my profile matching with Thai or Cambodians. Nonetheless, we were asked to ride camels, horses, pose with an arab man and do many other things which I would not do as a tourist! I do not want this to be a rant about Egyptian people haggling. They do what the tough times call for and that is okay. They reminded me of my short stint of stay in Gurugram, Haryana and the people there. Confident and assertive. In my entire month long tryst with Aftica, (Kenya, Zambia, Zimbabwe and Egypt), I found the culture and people of Egypt to be the most intriguing experience. In Egypt, English has a very limited scope as a medium of communication. It is spoken in broken accent and understood only when combined with body language. Basically, you may not speak English and still make do with an enriching conversation. In initial few instances, it sounded harsh to me. It takes a little while to get along with the tone. And a few fleeting glimpses of smile will do the trick. I found myself overwhelmed with a group of people from a sheesha bar on the streets of Cairo, everyone busy asking me whereabouts of Amitabh Bachchan, Shahrukh Khan and Kareena Kapoor, in that order! “Hind, Amitabh Bachchan”.. keywords framed the sentence! I have found a few tourists complaining about the haggling experiences in Egyptian markets in different forums. While, I am all emphatic with the harrowing “market goer” experience, I must admit it was no different than India and reflected the country’s sublime economic turbulence. I have had no problem in adjusting with that and would engage in a similar conversation at the drop of an eyelid at any part of the world. But, this could be a pointer for you if you do not want to be sold something at every step, from camel ride to taking a picture inside a pyramid! However, if you are my reader, I assume you would enjoy these little nuances of human interaction! I have tried to make a list of the instances when I was trying to be sold something! I hope this serves as a good laugh! This is fine but why should I pay money for this? 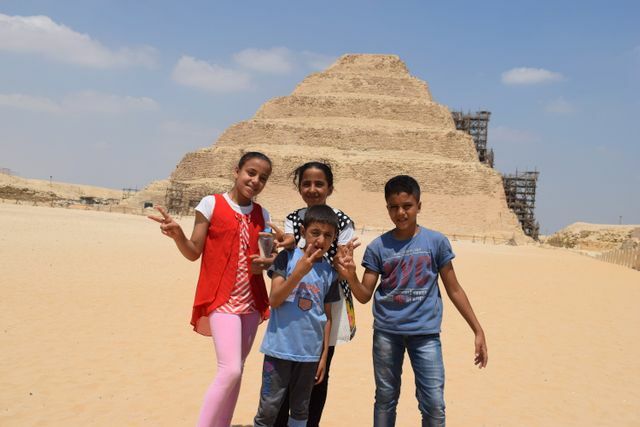 Upon entering the Saqqara necropolis compound, a group of young children came and asked me to click a picture! Mind you they wanted me to click them. I did. They asked me for money! Stonefaced, I said I charge for using my DSLR. They left. I wish I would have had some chocolates or fruits to gift though. A horse cart driver caught hold of Sayantan and Rupak, the boys as they were fetching some water for us in Luxor. He narrated a heart-wrenching story of how business was low and he had nothing to feed the horse. They agreed to come to the hotel in his cart. The next we knew, he would “stalk” us everywhere with the horse cart. So much so, we went to ask the reception if there is another way to escape the hotel compound! But there was not. We four had to ride the poor horse dragging the huge cart for two consecutive evenings. It is also a pity that I feel bad about the horse and not the horse man much. He wanted to sell us many souvenirs and hinted at some weed shops too! We kept on rejecting politely until he would drop us at Sofra and wait until we finish our dinner and bring us back to the hotel! He would tell how he had three daughters married off with the earning off this horse cart and expects his son to carry forward the legacy! The son goes to college too! On the last day, he came to drop us till the train station too. Our luggage was brought in a taxi and he insisted on us riding the cart. How do I explain this “haggling” in humane words? We got off the train at Luxor after a night long journey and a man approached with a briefcase in one hand. He wanted to take us to Abu Simbel. We rejected his offer outright and walked till the hotel (yes walked and refuged taxis, because Google maps know it all!). And we found out he was giving us the best rate. We called him back and he happily fixed us a car. The car driver, on the next day, practised a bit of English with us, “How is my English?” he asked! Before entering every pyramid, make sure the guard tells you if locals will charge money because they do! If persistence goes to the extreme, you can always call in the man in uniform. However, bitterness, in my experience, does not last that long! While there were people trying to “overdo” the business, there were also kind hearts who warned against such incidents and went extra mile to make us feel hospitable. “In particular”, he said, “if you see a man coming to help you out of the blue, know for sure, he wants some money. Only proceed if you are okay with paying the commission.” The same rule applies for souvenir shop visits with your tour guide too! Egypt during the holidays of Bakri Eid! We reached Egypt on the week of Bakri-Eid! It is one the grandest festivals in the nation. An animal is sacrificed for each household. Goat, Cow or a Camel. The meat is sacred and shared with relatives, families and needy. We were afraid the museums and monuments will be closed. Rather, we had the luxury of travelling to all these places barring traffic congestion. Publicly drinking is banned for a week. In Egyptian bars, you can order for Egypt’s own brew, Luxor Special Gold and Saqara Gold in other time, the latter being my favorite beer. Also, if you happen to visit Egypt during Ramadan, do not eat in public. It is the month of fasting for the faithfuls. 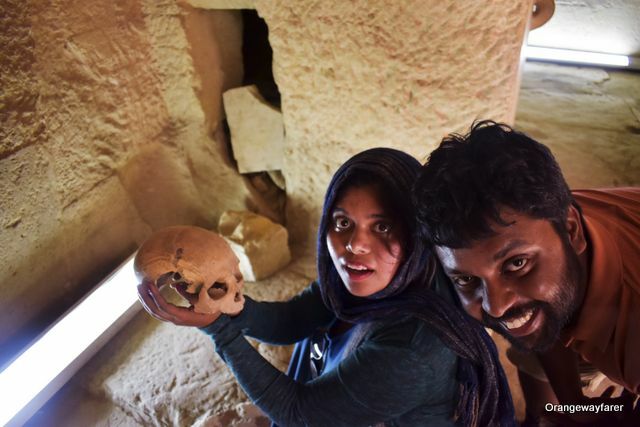 Someone kept this skull in a small Pyramid and stated it is 500 years old! To pose with it shall cost you money! Also, take pointers from what I am wearing! Being a Woman Traveller in Egypt: What to expect as a Solo Woman Traveller? There were women everywhere. We had a guide, a lady graduate in Islamic history who took us around the temples in Luxor. Ours was the only group with a lady guide. She was no less of an enthusiast. She took us to all the souvenier shops, diligently after visiting the monuments and waited to earn her commission by swearing in to selling “the best original” papyrus! Noenetheless, women in Egypt are compassionate and ready to take part in economic activities as well. Not all women wore Burqa, a head to toe covered dress but a hijab was omnipresent. Hair was covered. Jeans was a preferred dress too. It was more prevalent in outskirts than downtown Cairo, ironically. Egypt is a Muslim country where covering a women’s body is considered to be a part of “modesty”. While I may not necessarily agree with “the covering because modesty part”, I did so to stay safe from the scorching Sun! I wish I could wear a few more layers to protect my skin. Dramatic temparature, especially as you head to the interiors of Sahara desert is an impending threat to your health as well. Stay safe under the sun. As a solo women travelling in Egypt, make sure to blend well in the local crowd. Dressing covered is your best bait. The next thing that can give away you is your language. Use apps like Duolingo for daily conversation. Pick up regular Arabic words and numbers to catch your speeding Uber guy! 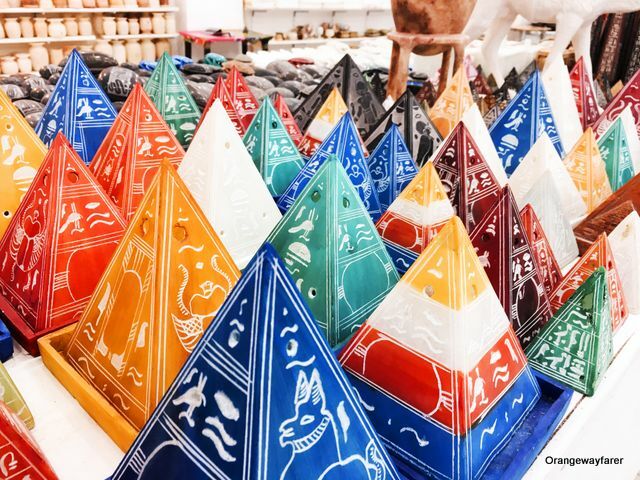 Understand the nuances of Egyptian culture. We were standing in a long queue to reach to the top of Cairo Tower and waiting behind a family of four. Two brothers and two wives. They sat on a bench. There was a place left and I went to occupy the seat. As soon as I sat, the men left making space for another person. It was not necessary however showed their eagerness to allow women their personal space. I felt a bit bad and wanted to give up the seat but the women from the group reassured. The point is, in case of an “avoidable” crowd space, do not barge in. For safe travels, use Uber for local commute and long haul tourist trains for overnight journeys. The Metro rail in Cairo has a dedicated boggy for women travellers. Use that for easy commute. It is a pain to converse in the local train station and get a ticket. In my experience, it is best to source it from an agent. However, I was lucky to find a police man in the station whose wife was fond of Shahrukh Khan (life is full of surprises) and he was more than happy to help us Indians who came from his wife’s lover’s land! Whatever that means! The policeman got us the ticket. Baggage scrutiny is a norm at every station. Expect your luggage to be mishandled and be very cautious to lug around camera/laptop safely. We stayed in Mid Town Hostel in Cairo which was very near to Tahrir square. If I were a solo woman travelling to Egypt, I would stay at Zamalek, a very fancy uptown in Cairo which I loved. I have never felt any threat of sexual harassment in Egypt. I was travelling with male friends in the group, though. I suggest be vigilant and practice all the good checks to stay safe if you are travelling solo. I do not recommend indulging in selfie-requests with locals, especially if you are travelling as a solo woman. A “fake wedding band” can often save you from unwanted attention, so get one! Here is a moment of truth. I am raised in a society, in a country where sexual abuse is rampant. Many females are victims of molestation (including yours truly) from a very young age, by the closest of relatives. Saving myself comes easy to me, as a natural instinct. I am sure it comes to every woman, especially to the empowered ones who dream of travelling the world, to “unconventional” places such as Egypt! All I can say is, it is fine to explore Egypt. You must be aware of your surroundings but need not be paranoid about safety measures. Contrary to what popular media projects, this world is full of good men, ready to bridge the gap! Amazing tips for travelling in the country. And hilarious stories about shopkeepers! I’m awful at haggling, so try to acoid the issue altogether 🙈 fab post! 🙂 Do visit. I wish you a great trip ahead! I’ve been wishing to visit Egypt for a long time now. Since I live in South Sudan now, I’ll only be a flight away so I plan to go sometime next year. This post gave me more courage to go (for the same safety and harassment related issues I’ve heard so often people talk about). And I am reliving my Egypt memories through your SOuth Sudan posts in IG 🙂 I wish you have a great time. Just avoid Summer. It burns! Oh Keri, I am so sorry to hear this. I understand how harrowing this might be. Please visit Egypt when you think you are comfortable. No place or travel is ever worth being harassed. Thanks for sharing. It’s a question I have asked as Egypt is on my list & not made it there yet. Appreciate all your advice & will now put my visit back on the list! Do visit Egypt. The problems in Egypt that you are likely to face are almost universal. It must one deter one from visiting. 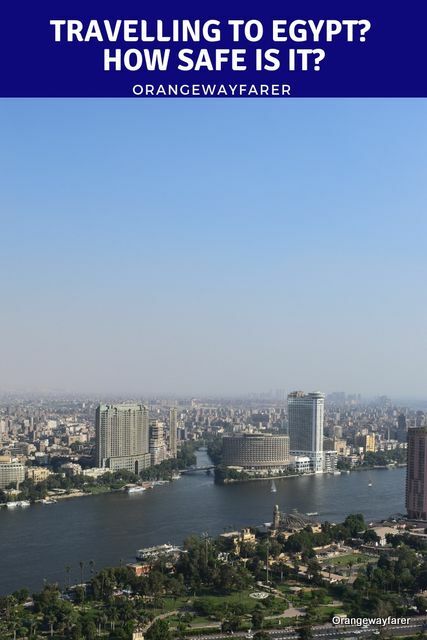 Cairo is fine, so are the big cities. 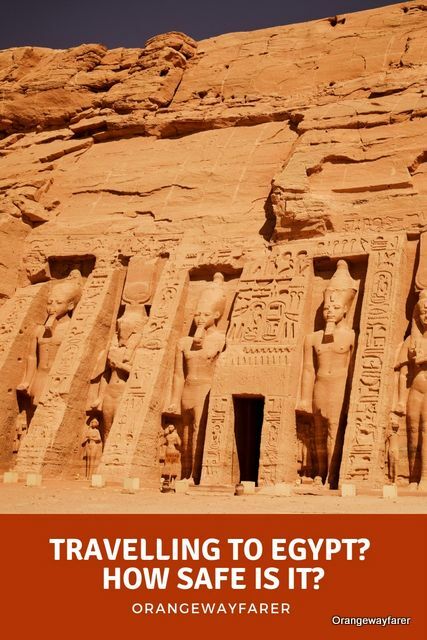 take a tour may be when visiting far iff tourist sights, like Abu Simbel et al.